Delhi travel guide containing useful information on travel and tourism in New Delhi, the capital of India. Delhi is the capital of India, along with being its third largest city. Located on the western end of Gangetic Plain, it has a long and glorious past behind it. The city of Delhi is believd to date back to the time of the Pandavas, when it was known as Indraprastha. As time passed, the city got expanded more and more, being ruled by various emperors and dynasties. 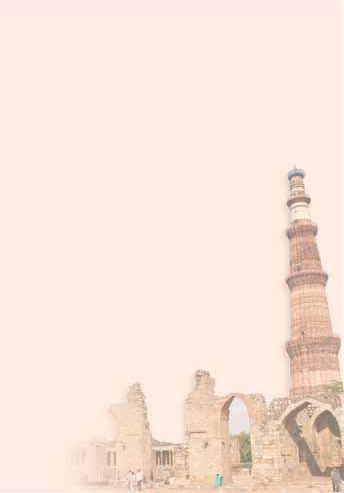 New Delhi, as it stands today, is a reminder of the various eras through which it has passed. As you travel to Delhi with us you will explore different amazing facets of the Indian capital. The Old Delhi with the areas of Chandni Chowk, the Old fort, the Red fort, etc are a symbol of the time when Mughal Emperor Shah Jahan used to rule over Delhi. The Tughlaqabad area, comprising of the Tughlaqabad Fort, dates back to the reign of the Tughlaq dynasty. Similarly, as a souvenir of British rule over the city, we can see the New Delhi area comprising of the Connaught Place, Parliament House, etc. 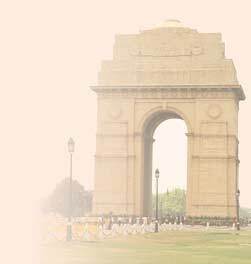 India Gate stands as a testimony to the independent India, for which many Indians lost their lives. As you travel to Delhi you will discover that besides numerous monuments, there are various museums, stadiums, gardens etc spread in different parts of Delhi. Fairs and festivals, so very symbolic of Indian culture, form a part of the cultural heritage of Delhi. Another one of the major attractions of tourism in Delhi is its numerous shopping places. There is hardly anything worth shopping that you won't find here. From the Jodhpuri jutis to Bengali sweets, the lively and colorful bazaars of the city will cater to your every need and requirement. Along with that, Delhi has also become one of the most creative cities of India. It boasts of more than 25 art galleries, where seminars, film shows and study classes on art appreciation, history and conservation are organized on a regular basis. In short we can say that Delhi is so vast and so diverse that to fully appreciate it, you have to visit it and explore it yourself.